Rockford Historical Society debuted a new publication at the meeting. 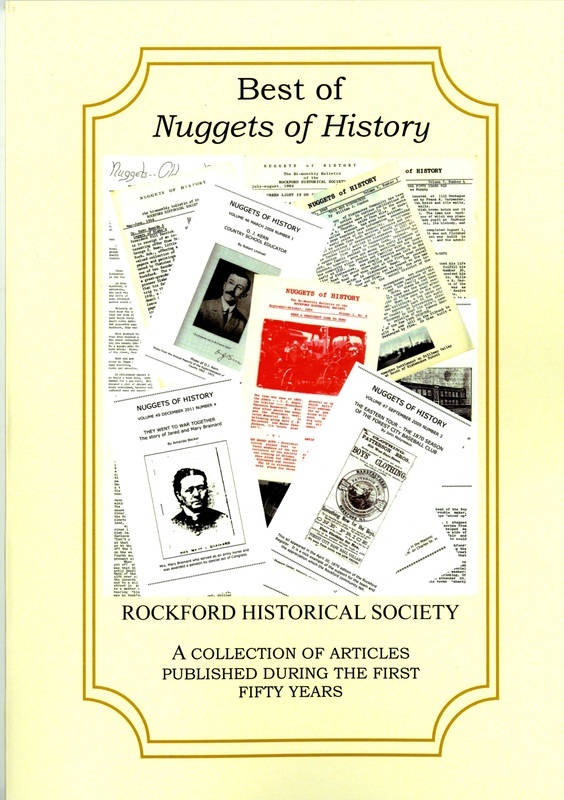 Fifteen articles selected by long-time Nuggets editor Tom Powers from our more than fifty years of Rockford history in RHS's Nuggets of History are being reprinted in book form. Several of the authors were in attendance at the meeting. Board Member Janna Bailey has been ably steering the publication of the book. The book is available for purchase for $20.00. The proceeds from the book will go toward placing a state historical marker in the city. More information about this project will be forthcoming. The annual meeting includes the election of officers and the new Board of Directors. There has been a September Potluck every year since the organiztion was founded fifty-one years ago. Early ones were held on the grounds of the Old Rockford College campus. Recent ones have been at the hotel at Midway Village. RHS looks forward to being a part of the continued improvement of Davis Park, particularly with regard to the boulder placed near the dam. This is the spot where Indians and frontier people crossed the Rock River going west. 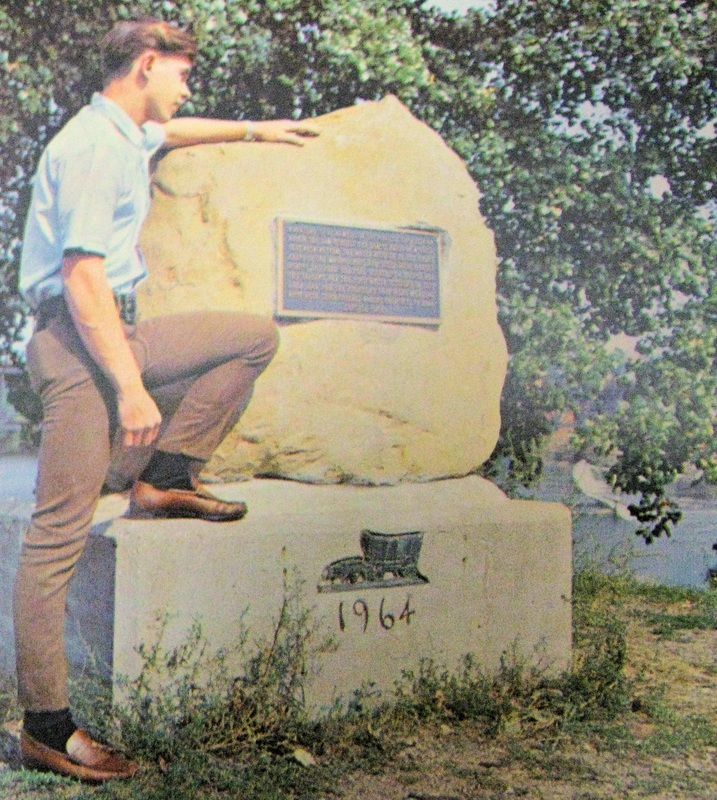 How the boulder once looked. Historical research tell us that the ford was where the dam now is. The place where the boulder sits is on the west side of the river, where the lower bridge and the dam meet. 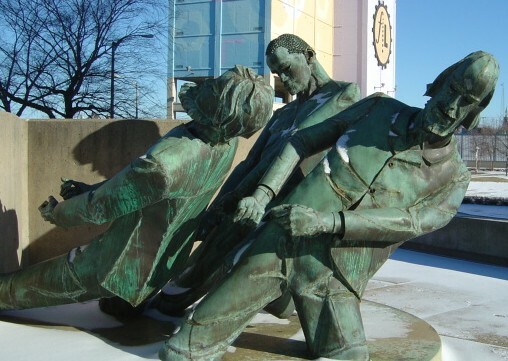 This exquisite sculpture by Gene Horvath may well join the rock marking the ford at Davis Park's south end.